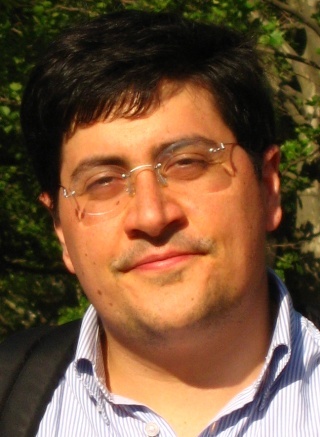 Bernardo Palazzi is a last year Ph.D. student, sponsored by the Italian Ministry of Communications, at “Roma Tre” University where he received the “Laurea” degree in Computer Engineering. His current research interests include the world of Computer Security. He has registered a patent on data integrity verification in DBMS query. He coordinates two courses on security for the Italian Defence General Staff. His research has been partially supported by the Center for Geometric Computing at Brown University and by IAM Technology Inc.
Bernardo Palazzi, Maurizio Pizzonia, Stefano Pucacco. Query Racing: Fast Completeness Certification of Query Results. In Proc. Working Conference on Data and Applications Security and Privacy (DBSEC'10), Springer-Verlag, volume 6166 of Lecture Notes in Computer Science, pages 177-192, 2010. Alexander Heitzmann, Bernardo Palazzi, Charalampos Papamanthou, Roberto Tamassia. Efficient Integrity Checking of Untrusted Network Storage. In, Yongdae Kim, William Yurcik, editors, Proc. 4th ACM International Workshop on Storage Security and Survivability (StorageSS 2008), ACM, Conference on Computer and Communications Security, pages 43-54, 2008.